How Did the Retail Investor do in 2015? I haven't tabulated my own returns for 2015 yet but I thought it would be a good idea to take a look at how the little guy/retail investor did this year. Each and every year, more and more lending platforms are coming on line yet choices for retail investors are still quite limited. Let's look at some topics and see how the little guy fared. CBS Marketwatch did a great story last week on why investors, especially income investors, should be looking at P2PLending as an investing tool for their portfolios. To everyone reading this, that's preaching to the choir, however having such a mainstream financial site cover it and call it what it is, a legitimate asset class for investment, is just another sign of USD p2p lending going mainstream. American Banker also did a very good story saying that online lending platforms are subject to greater potential risks by not targeting retail investors. Since institutional funds go where the returns are the best, they are not 'sticky' to platforms and reliable for continuous investment the way that retail investors are. Could Accredited Investor Definition be Expanded? Crowdfund Insider, as per usual, has done an excellent initial analysis on the SEC's look at the definition of what is an accredited investor. Currently, most retail investors don't qualify and are locked out of many different platforms. The actual SEC Report can be found here to look at why they are re-assessing the definition. The recommendations indicate that financial sophistication in terms of knowledge may be considered rather than just Assets and Income. This would open up additional investment for many of us. Excellent RE lending platform, Fundrise, who I have covered previously on this blog here and here has opened up an E-REIT (real estate investment trust) with the help of Reg A+. that allows some non-accredited investors to invest amounts as low as $1000 in a crowdfunded RE project. The best explanation of what is going on there that I could find was in Wired. Go check it out and if RE is your asset of choice then go for it. I know the Fundrise team and they are great at what they do. One of the few ways a retail investor can diversify is through Bitcoin. All of the big 3 BTC platforms are working towards greater transparency, better credit analysis, and in the case of Loanbase, attempted collections in numerous countries, although the US is not one of them. 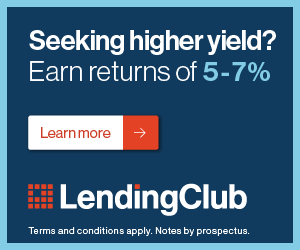 Issues abound from defaulters to volatility in the price of Bitcoin to lack of scale however I like the direction they are going in as I can see them trying to work towards where Lending Club and Prosper are now, and they had bumpy beginnings too. I'm still investing but cautiously. All in all it looks like there's a good chance that 2016 could be the year where more opportunity for profitable investments opens up to us little retail investors. Let's help to make it happen.